You know your dentist is looking for cavities during regular check-ups, but you may not know you're also being screened for cancer at the same time. Oral cancer and cancers of the throat, tonsils and back of the tongue (pharyngeal) strike approximately 40,000 a year. Regular visits to your dentist can help you detect such cancers early, and changing a few potentially harmful habits may help reduce your chances of developing them. Follow the link to find out the top risk factors. The Food and Drug Administration is taking the unusual step of launching a targeted campaign aimed at white teenagers living in rural America. The message: smokeless tobacco can kill you or lead to life-changing deformities. The FDA says its latest effort targets white, rural males who are more likely to use dip, chew and other smokeless tobacco products. Roughly 32 percent of rural males ages 12 to 17, or roughly 629,000 Americans, are at-risk for using chewing tobacco, according to the agency. From the rodeo to the pitcher's mound, it's a young man's rite of passage in much of the country. But chewing tobacco or "dip" has been linked to gum disease, tooth loss and multiple cancers. Now, the FDA is targeting white teen boys in rural America with a jarring message, "When you believe a can of Dip can cause no harm" "Dip can cause mouth cancer. Smokeless doesn't mean harmless!" Graphic images meant to scare the very teens who might feel invincible. The commercials will run in 35 rural media markets across the U.S., including cities in Michigan, Montana, South Carolina and Tennessee. Baseball stadiums will feature the campaign's central message this summer — "smokeless doesn't mean harmless" — via advertising and promotions with players. But breaking through is a challenge. That mark left by a can of chew in a back pocket is as much a part of the culture in much of the country. "These kids walk around seeing some of the most important people in their lives using dip or chew, whether it's their dads or their grandfathers. Older brothers, community leaders. And so they say to themselves, they are all using so it must be okay to do," said Mitch Zeller, the FDA's director of the agency's tobacco program. And every day, nearly 1,000 teenage boys pick up a can of dip and try it for the first time...almost as many as the number who smoke their first cigarette. 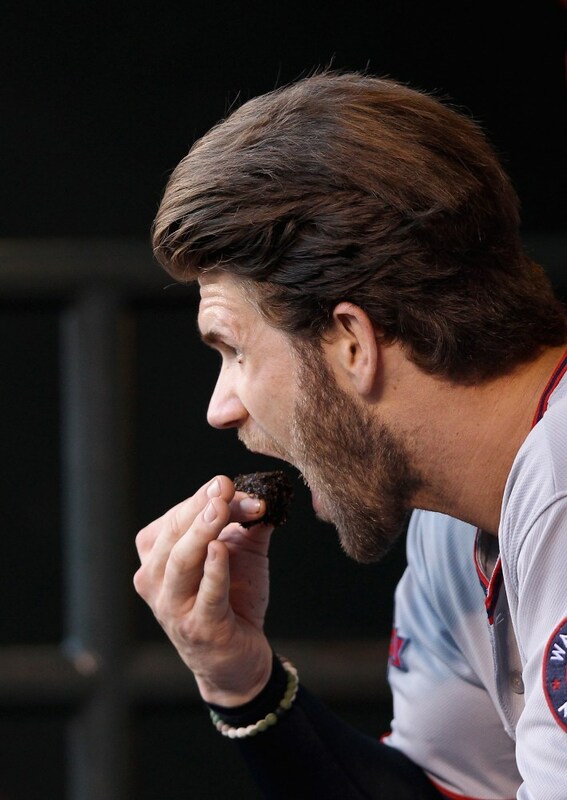 Despite some of baseball's legends dying from oral cancers, as many as a third of major league players still chew. Now cities across the country are banning tobacco in their ball parks. Former Red Sox pitcher, Curt Schilling, who was diagnosed with mouth cancer, said this is a good thing...he just hopes teen boys will listen. "I met men with half a face, half a tongue, half a jaw who tried to warn me," he said. Zeller, who oversaw the anti-tobacco "Truth" campaign while working at the nonprofit American Legacy Foundation in the early 2000s, said many young people don't understand the health effects of smokeless tobacco. The new campaign is the first FDA effort to focus on those risks, including gum disease, tooth loss and multiple forms of cancer. The FDA is reaching out to Major League Baseball on similar collaborations, agency officials said. Last October the FDA launched a $128 million campaign using hip-hop music and culture to try and educate African American and other urban minority youth groups about smoking risks. Tobacco companies are footing the bill for the campaigns through fees charged by the FDA under a 2009 law that created the agency's tobacco center. Among other powers, the FDA can restrict marketing of tobacco products to young people and gives the agency authority to evaluate the health risks of new tobacco products before they launch.